Plastic sticker CD/DVD sleeve (envelope) for your catalogues, file and folders.R emove and attach, it's that simple. 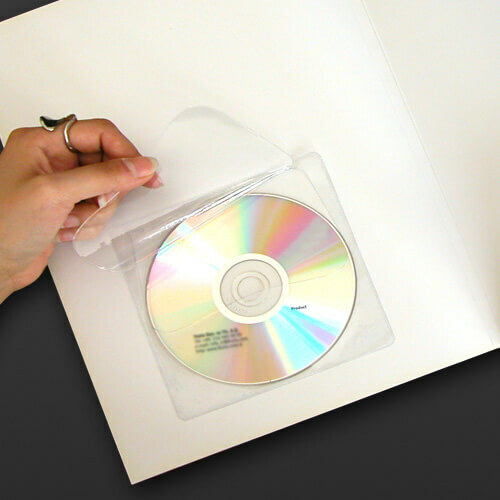 Self adhesive (PVC) CD/DVD Sleeves (CD/DVD envelopes) are used to insert CDs/DVDs to your catalogues, hard CD/DVD cases or files. They are self adhesive stickers. It is very practical and convenient to remove from holder and attach to the file or catalogue cover. 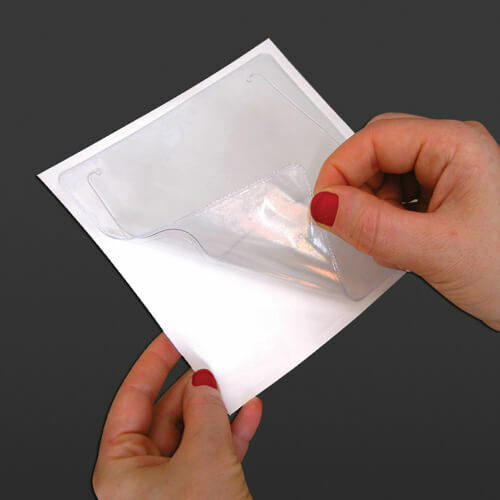 Self Adhesive Plastic CD Envelopes also have covers. It is available in transparent and semi-transparent versions. It is ideal for attaching CDs or DVDs to media files, product files, catalogues, brochures or special cases. It offers time saving thanks to the ability of fast removal and attachment features due to easy removal and self adhesive properties of the product. Call us and we deliver the product to your door.